4. Ricky Williams (MIA) – He more than lived up to expectations as the Dolphins featured RB on Thursday night as Williams stole the show against the Panthers. He racked up 138 total yards and more importantly, he found pay dirt 3 times en route to a monster fantasy performance. Williams and fantasy owners alike should continue to thrive with Ronnie Brown now out of the picture. 5. Ray Rice (BAL) – While Rice was solid, totaling over 100 yards and a TD in Monday night’s thrill fest (note sarcasm) against a terrible Browns run defense, we expected a bit more from him. Much like week 10, his ground numbers won’t wow you most weeks, but his versatility in the passing game along with a nose for the end zone have made him one of the most consistently productive fantasy backs in the NFL. In spite of some stiff competition (week 10 excluded), Rice has managed to total 100 + total yards in 6 consecutive games and he has at least 1 TD in 5 straight games. In week 11, he will face an improved, but by no means great, Colts run defense. While you probably shouldn’t expect Rice to run wild on these guys, he should provide a very solid stat line as usual and he should be especially useful in the Ravens passing game this week. He is a must start fantasy option every week at this point. 6. Steven Jackson (STL) – At first glance, a week 11 match up against Arizona’s 7th ranked run defense does not appear all that favorable, but when you consider how generous the Cardinals have been to opposing RBs over their last 4 games, Jackson should be in for a great game. Besides, he defies logic and beats overwhelming odds on a weekly basis anyway as he continues to put up all pro numbers with one of the worst supporting casts in the NFL. It truly is mind blowing when you consider that he is only 8 yards shy of being tied with Adrian Peterson in rushing yards. Things are also starting to look up in the scoring department as Jackson has a TD in each of his last 2 games. It’s scary to think what this guy could do with a great offensive line and a capable passing game. 7. DeAngelo Williams (CAR) – He was unable to find the end zone for the second straight week on Thursday night against the Dolphins, but Williams was impressive never the less rushing for 122 yards on just 13 carries and adding 1 reception for 9 yards. While a trip to the end zone would have been a nice bonus, Williams’ performance can not be considered a disappointment, especially when you factor in that his knee was not 100%. 8. Rashard Mendenhall (PIT) – Following a huge game at Denver in week 9, Mendenhall was a major disappointment in week 10 against the Bengals. That said, you should expect him to rebound nicely in week 11 against a generous Kansas City run defense. The Chiefs rank just 27th in the NFL against the run giving up 141 rushing yards per game and there are only 6 teams in the NFL that give up more fantasy production to opposing RBs than lowly Kansas City. 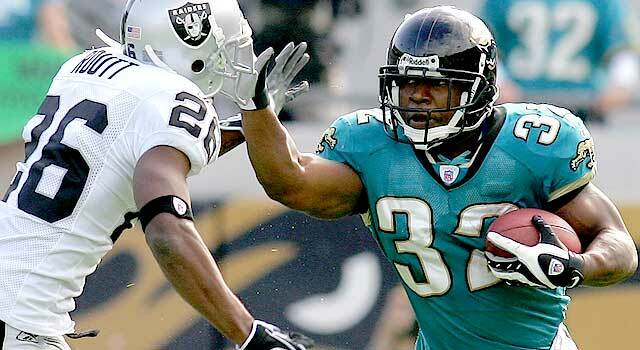 Mendenhall is a must start fantasy option for week 11 with this extremely favorable match up. 9. Pierre Thomas (NO) – While he was extremely disappointing in week 10 against the Rams, Thomas should bounce back with no less than a solid outing in week 11. Thomas’ biggest obstacle of late has been a lack of touches. With Reggie Bush expected to miss this week with swelling in his knee, Thomas should see a significant increase in his workload. He will still have to share with Mike Bell, but Bush was the real nemesis as far as chewing up Thomas’ playing time anyway. As for the match up, it doesn’t get much easier than Tampa Bay. They rank 31st in the NFL against the run and they rank 5th in the league in terms of fantasy points given up to opposing RBs. The circumstances are favorable for Thomas to bounce back in a big way. 10. Frank Gore (SF) – He may have his work cut out for him in week 11 against the Packers 4th ranked run defense, but Gore is more than capable of coming out on top. He has thrived in the last few weeks since the 49ers altered their offense to a spread formation and it’s safe to say that Green Bay has not and will not face another rushing attack like it all season. We think this gives Gore just the advantage he will need to be successful. Besides, he is virtually unbenchable at this point. Keep him penciled in despite the difficult match up. 11. Kevin Smith (DET) – He has been fairly quiet of late, but considering the circumstances, it is understandable. He has been a bit banged up, his QB has been playing injured and big play receiver Calvin Johnson has been gimpy as well. All of these things can and have had a significant impact on the running game. That said, Smith and the Lions are the healthiest they have been in a while and a week 11 match up against Cleveland bodes very well. Only 2 teams in the NFL give up more fantasy points to opposing RBs than the Browns and Cleveland ranks 30th in the league against the run allowing 166 ground yards per game. There is some room for skepticism given Smith’s sub par play of late, but we really like his chances for a great game this week. 12. Thomas Jones (NYJ) – For obvious reasons, we do not love Jones’ match up against the Patriots this week. After all, New England limited him to just 54 yards back in week 2. That being said, Jones has since become a staple of solid fantasy production week in and week out and he has a more prominent role this time around with Leon Washington out. It’s also worth noting that the Patriots held Jones in check in week 2 last season as well only to have him total 119 yards and a TD against them in the second meeting. This is by no means a fail safe match up for him and you wouldn’t be out of line to go with another option this week, but you just might regret it. 13. Matt Forte (CHI) – Let’s face it, unless this guy is facing the defensive line from Shady Acres retirement home, rushing yards are going to be scarce. That said, Forte has finally caught fire in the passing game and the result has been 3 consecutive games with double digit fantasy points. In week 11, he will face a solid Philadelphia defense. As usual, ground yards will be difficult to come by, but we should continue to see plenty of Forte in the passing game this week and a TD is not out of the question against this defense if Chicago can get into some goal line situations. The Eagles have given up at least 1 rushing TD in their last 3 games, including 2 last week to a struggling LaDainian Tomlinson. 15. Joseph Addai (IND) – A week 11 match up against Baltimore’s 5th ranked run defense is not ideal, but Addai continues to put up double digit fantasy efforts on a weekly basis regardless of the opponent. We like his chances to do it again. 16. Brandon Jacobs (NYG) – He isn’t having the season fantasy owners had hoped for, but Jacobs is still an extremely capable fantasy back and when the match up is right, he is certainly worth no less than RB2 status. Fortunately, he has just such a match up in week 11 against the Falcons. Atlanta ranks just 25th in the NFL against the run and they give up the 10th most fantasy points in the league to opposing RBs. Jacobs will continue to share carries with Ahmad Bradshaw and Danny Ware may get in the mix on passing downs as well. While this doesn’t do Jacob’s fantasy value any favors, we still believe he will be featured for the most part and the Giants should get him a goal line opportunity or two this week. We also like the fact that he is very fresh coming off of a bye. 17. LaDainian Tomlinson (SD) – His 2 TD effort against a solid Eagles run defense last week was impressive and provides hope for the future. Unfortunately, we have seen these “pleasant surprise” games from L.T. all too often over the last 2 seasons, only to see him recede back into mediocrity the very next week. That said, he obviously has some gas left in the tank and we are willing to give him the benefit of the doubt against a Denver run defense that has been on the decline over the last few weeks. Plus, he was able to put up 100 all purpose yards against the Broncos in week 6, so there is a precedent for success. 18. LeSean McCoy (PHI) – Once again, McCoy finds himself filling in for a concussed Brian Westbrook. While we really like McCoy’s upside, he is limited by a pass happy Eagles offense and having to share carries with Leonard Weaver. He has a decent match up against an up and down Bears run defense, but the Eagles need to get McCoy the ball more for him to truly be effective. We do expect to see him utilized in the passing game more this week. 19. Jason Snelling (ATL) – He is no Michael Turner, but Snelling is a very capable fantasy back. He is a great receiver out of the backfield, something Turner is not, so fantasy owners (especially in PPR leagues) should benefit from that aspect of Snelling’s game. As for week 11, the match up against the Giants is not as bad as one might think. The G-Men have been fairly leaky against the run at times this season and they will be without their best run stopper this week in LB Antonio Pierce. Even with Pierce, the Giants had allowed 12 rushing TDs in 9 games and have given up 106 rushing yards per game on average. Snelling should be adequate as a RB2 with this match up and he could very well be the surprise of the week. 20. Knowshon Moreno (DEN) – While we really like the match up against a San Diego run defense that can be very generous to opposing RBs, we are still a bit skeptical about Moreno’s fantasy value with this match up. For starters, Moreno only managed 44 yards on 18 carries when he faced the Chargers back in week 6. Also, Moreno’s consistency in terms of both workload and production so far this season is cause for concern. In addition, the possibility of having Chris Simms at QB this week may lead to more carries for Moreno, but an inept passing game will not do him any favors trying to run the ball. Moreno is talented enough to do some serious damage against this defense, but he has plenty to overcome. 34. Mike Bell (NO) - @ TB - He should have an increased role this week if Reggie Bush is inactive for week 11 which appears very likely after Bush missed practice again on Friday with a knee injury. SUPPORT THE MAC BROS. START YOUR AMAZON HOLIDAY SHOPPING BELOW.